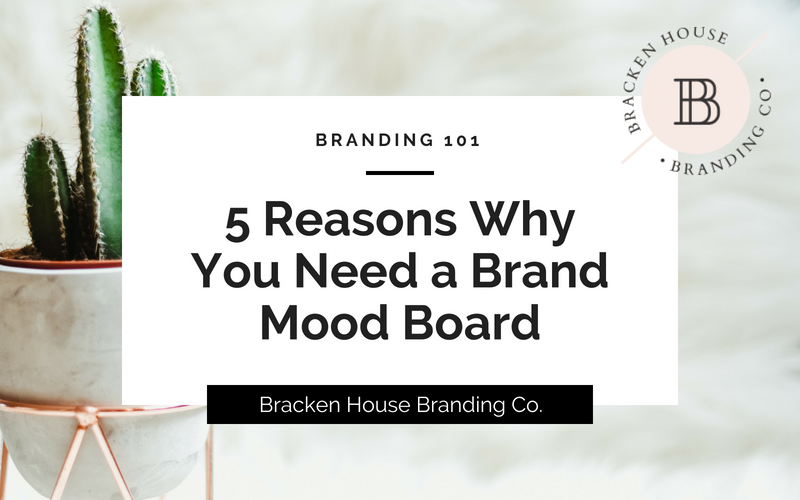 5 Reasons Why You Need a Brand Mood Board - Bracken House Branding Co.
Is your business warm and cozy like pumpkin spice on a crisp fall day? Or is it sophisticated and classic like a perfectly accessorized little black dress? Maybe your brand is sun, sand and salty air like a warm day at the shore… How do you translate your “vibe” into something that can be seen, tasted, smelled, heard and felt by your audience? The vision for your captivating brand does not happen on its own, and is so much more than just a pretty logo. It all starts with a Brand Mood Board. When I sit down to begin a new branding or website project, I never start on the actual design immediately. Every project begins with the same 1st step: creating a Brand Mood Board, unless of course a website client comes to me already having his/her brand and mood board created. Mood Boards are essential for ensuring that my client and I are 100% aligned with the vision of the brand. A mood board is essentially a collage of images that have been carefully curated and arranged in a way that evokes the “mood” or tone, or theme of the brand that we’re about to design. It depicts the look and feel of the brand, and will be referred back to time and time again as your brand grows and evolves. It’s important to note that the mood board process is very intuitive and is primarily used for internal purposes. 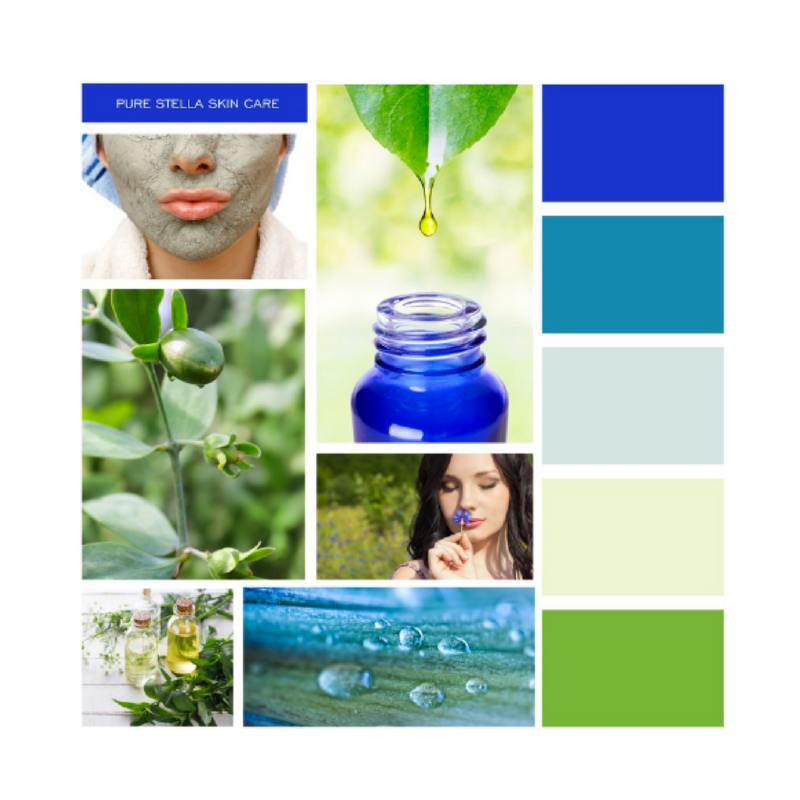 The images that you use in your mood board can come from anywhere, and they are not meant to be used in your marketing (unless of course you obtain a license to use them). The idea is that anyone who plays a role in building the brand, from within your company, can look at the mood board and immediately understand how things need to look, feel and be designed. The mood board is what casts the vision of the overall brand, and is what determines how you move forward with the rest of the branding process. Reason #1 | A properly design mood board will help you establish the foundation of the brand, the basics. Once your mood board is completed, you’ll be able to clearly see exactly which colors your brand palette should include, what fonts you should be using, and what your logo needs to look like. Reason #2 | Your graphic or web designer will love you if you show up to a project with a mood board already designed. When you are able to show your designer exactly what you envision for your brand, he or she will be able to be so much more efficient as you dive into the graphics and the more in-depth details of the design process such as your website and social media graphics. Reason #3 | You will save so much time! With a mood board designed, you’ll always be able to refer back to it as you’re carrying out the rest of your brand identity, and you’ll be able to immediately recognize if you’re straying off or staying on-brand. Once you recognize that, you can quickly shift your frame of mind back to what on-brand needs to look like, and continue moving forward with the project. 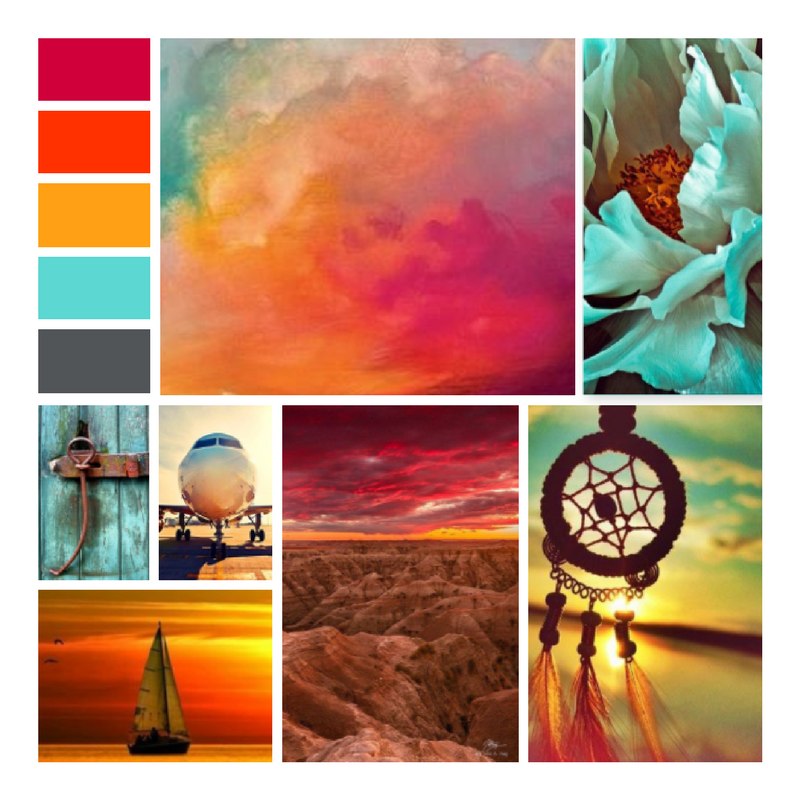 Reason #5 | Lastly, a mood board, much like a vision board, is motivating and inspiring! You will feel empowered once you see the big picture, and it will help you get massive clarity on your brand vision and how all the pieces will eventually come together. Below are three examples of my own clients mood boards. Let’s explore how these mood boards make us feel, and ultimately what their brand identity and website ends up looking like. This client was going for an overarching vibe of powerful, disruptive, spiritual, eclectic and empowering. Can you feel the tone when you look at her mood board? If you’re interested in seeing what the full brand identity looks like, click over to her website. 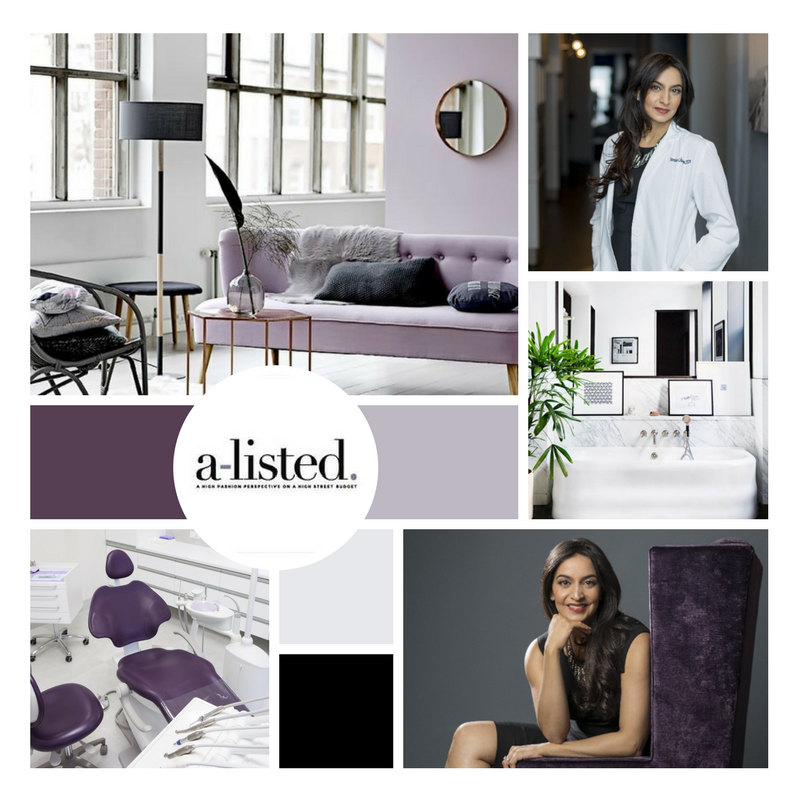 This client, a specialized dentist was going for a clean, clinical, yet luxurious & upscale feel. We were lucky to already have one set of images from a photoshoot that we could incorporate into the mood board. Can you feel the vibe of this brand? With this client, we wanted to convey the overarching theme of hand made, botanical & organic. 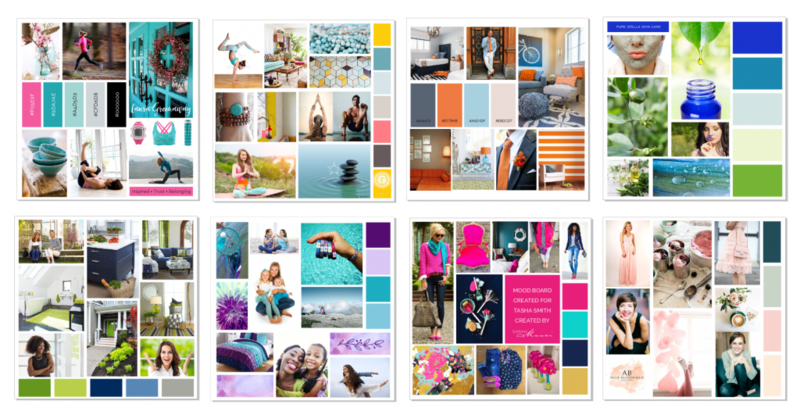 This brand has evolved into a family-friendly company since creating this mood board 2 years ago, but you can still see the same vibe even now, on their website. Check it out! And on that note, mood boards are not only effective for branding and web design projects. They are also a wonderful tool to use when planning a room re-design, hosting an upcoming event, staging a photo shoot or even designing another creative project. So, how do you create a mood board? While there are many ways to create a mood board, both digitally and on good old fashioned poster board, I’ve designed a process that is both effective, simple (and FREE)! I’ve helped hundreds of women create their own brand mood board, and I can help you too! Click below to sign up for my upcoming Mood Board Challenge, if you haven’t already, where I’ll walk you through my tried and trusted process, step-by-step! We kick off, live, on the 2nd Monday of each month. This is exactly what I needed! Thank you so much for offering this! So glad that you’ve found this helpful, Annie!